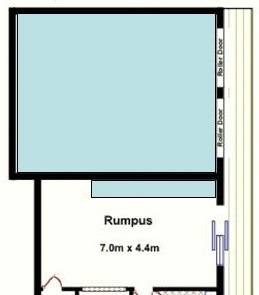 I had a number of design concepts in my mind given the space available was 27’ x 21’6” (8.23m x 6.55m) in the double garage and 16’ x 2’ (4.88m x 0.61m) in the rumpus room. Loco depot & service facility. 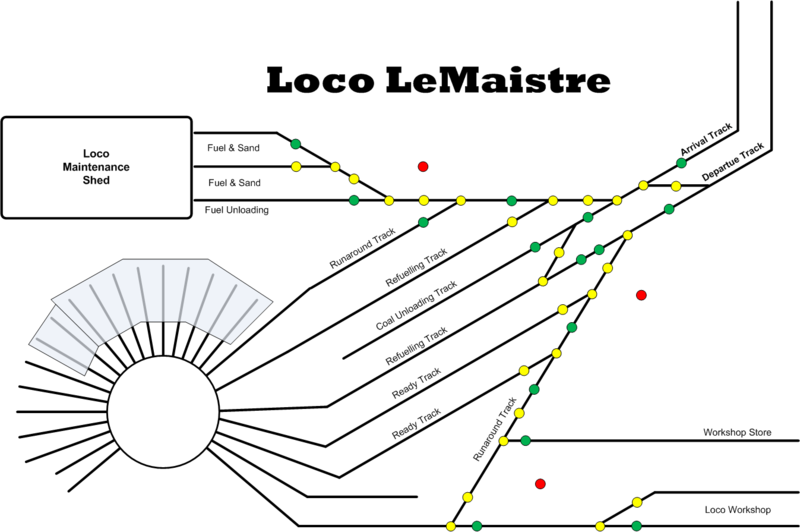 A classification yard with arrival departure tracks. 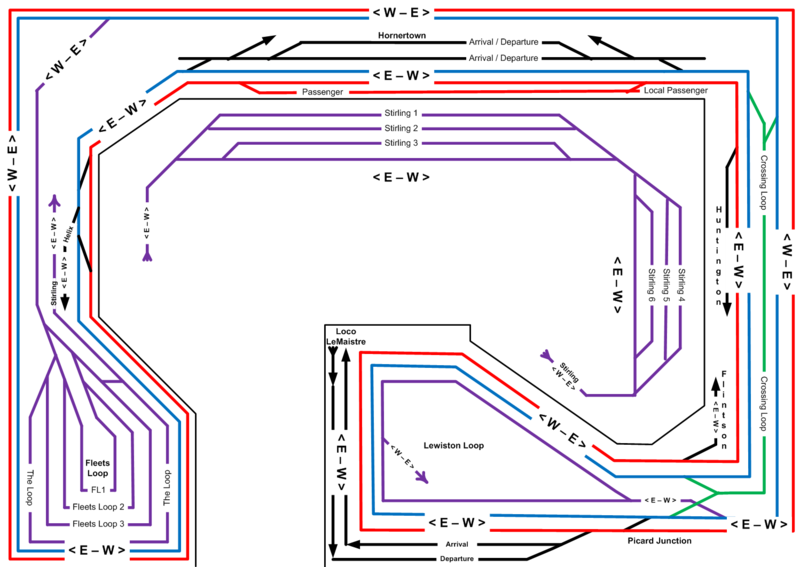 The ability to turn a complete train running in either direction. Industries with the main town adjacent to the main yard. A branch line with a town before the final town. Access to a helix to get to the top level. Visitors to be able to watch two trains circulating on the bottom level. 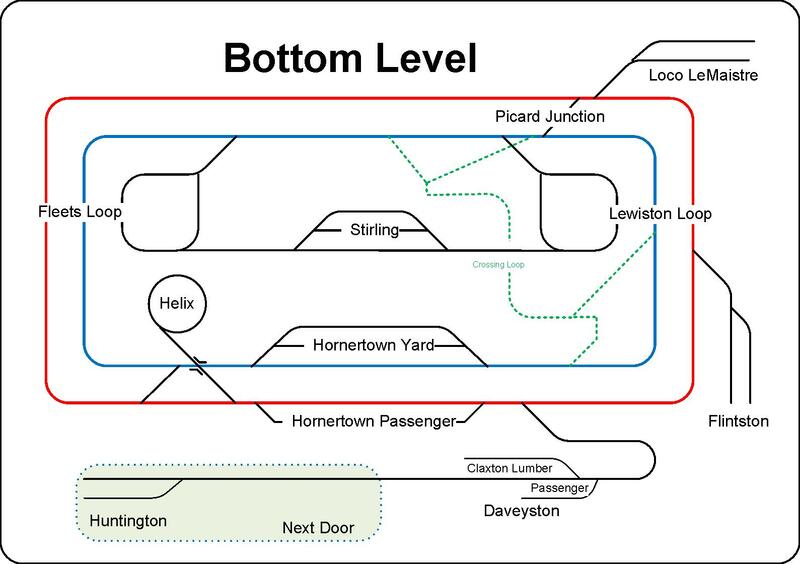 The staging tracks shown in purple are beneath the lower level benchwork and are accessed from either Lewiston Loop or Fleets Loop.